In case anyone in Washington hasn't noticed, Americans are fed up with the status quo. 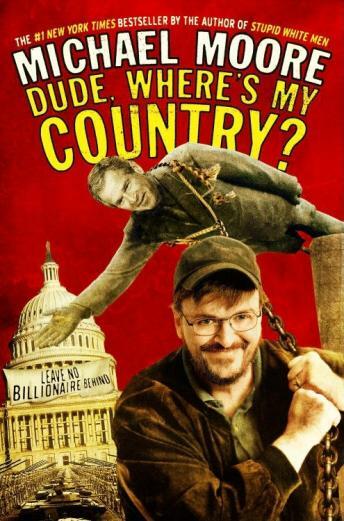 In this, the first shot fired over the bow of the 2004 Presidential election, Michael Moore aims to unseat the man who slithered into the White House on tracks built by the bloody hands of Enron and greased with the oil of his daddy. As if an unelected, semi-literate president weren't problem enough, America's Democrats have managed to take the liberty out of "liberal," signing on with the G.O.P. for dirty corporate money and the ill-gotten gains of globalization. The "left" is just as satisfied as the right to stand idly by as the chasm between the haves and the have-nots grows wider and wider. Thank god for Michael Moore because DUDE, WHERE'S MY COUNTRY tells us precisely what went wrong, and, more importantly, how to fix things. In a voice that is fearless, funny, and furious, Moore takes readers to the edge of righteous laughter and divine revenge.